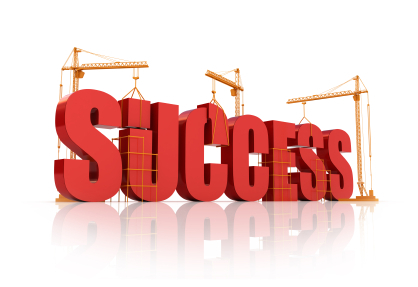 It's a common tips but very simple and straight forward about project success. It has been said that nearly 80% of all projects either fail completely or never get to completion. This is a very big statement to make, but Sabrina John said in her article that She has found that if you stick to the 10 tips given below, you will most definitely always deliver a quality project, on time and within budget. The project started before kick off. It is when the pre-sales activity ends. When is it end? It is ends when the winner is announced or the project executor has been appointed (from Customer point of view) and hand-over process to project team (from Internal point of view). The project team have to make sure that they understand what are the objectives of the project, the expectations and all of the things agreed in the pre-sales activity. During my career, I have experienced 2 kind of roles. As the project team member, I have experienced not clear process of handover that make my team more struggling to fight (work) in the middle of our battlefield (project). We have to cover (fix) all the "sin" that rise in the middle of project. It was something that already expected by my customer during the pre-sales activity and translated into another sentence that was uncertain. It could be translated to several meaning and at that time it made us work harder. The other role I had and my current roles is as pre-sales consultant. I won't tell you about all the job descriptions but only about the hand-over process that must be done. It's mandatory to do hand-over process. I always be honest with the project team member about things that showed up during the pre-sales activity whether it was good or bad. Pre-sales always try to maintain customer expectation and of course limit the scope in the agreement to eliminate uncertainty that will make loss to both party. Mostly it's happy ending, but there were some cases that challenging and made the project a bit stormy. Anyway it's very helpful and increase the success rate if the hand-over process is conducted correctly. When you start your project, the most important thing is to ensure that you obtain the requirements in as much detail as possible. You will then be able to exactly understand what needs to be delivered, by when and to whom. This business case document will form the basis of your project. As far as possible, keep timeframes as short and realistic as possible. Do not commit to long term deliverables, but rather split these up into mini projects or separate phases of an overall encompassing project. Create milestones for every phase or piece of work in your project. Add delivery dates to these and stick to them. If you are going to miss a deadline, communicate this to you client as early as possible. Deliverables should not be confused with milestones. Once every deliverable has been completed, it must be formally handed over to the client, who should sign an Acceptance Form to confirm it has met their expectations as per original requirements. Understand your client and involve them right through the entire project, from planning to implementation. Communicate to them on a regular basis to ensure you get their buy-in in the project. Document the scope of the project up front, including what is in and what is out and have this signed off by the client. Any future scope changes must be re-evaluated and agreed by all stakeholders against the original scope. A formal change management process will go a long way to assist with this. Quality on any project should not be a negotiable factor and must always be of the highest possible. Ensure that you implement a clear quality management process, ensuring constant review throughout the project. This should include peer reviews so that team members review each other's deliverables. Risks and issues must be formally documented and discussed and reviewed at least every week. Ensure that these are prioritized, responsible persons assigned to each and actions have due dates. It is very important to assemble the best team possible to deliver the project. Require the best you can afford. Your role would be to lead and motivate the team and ensure they work well together. Make sure that a formal communication plan is drawn up, which will communicate the correct information to the correct audience at the correct intervals, from daily team meetings right up to the executive level of dashboard reporting to senior management. Applying these ten tips to every project you manage should put you on the right track to deliver projects of high quality, on time and within budget, every time.